Sunday, June 24, 2018, 11 a.m. – 1:30 p.m. The parade route begins at Fourth and Union in Downtown Seattle. 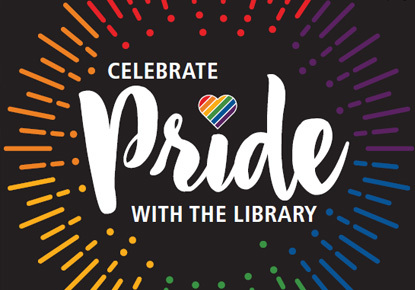 Join The Seattle Public Library and the Bookmobile as we celebrate the 44th Annual Pride Parade! Join us during Seattle’s Pride weekend as The Seattle Public Library and the Bookmobile march with the City of Seattle during the 44th annual Seattle Pride Parade in celebration with Seattle’s LGBTQ+ communities. The Seattle Pride Parade is presented by Seattle Pride. The parade begins at Fourth and Union and continues along Fourth Avenue to Denny Way. Accessible (ADA) viewing areas are located at Westlake Park, Fourth and Bell, and Fourth and Denny Way. ASL interpreters will be present at the Westlake Park announcer stage and the Fourth and Bell announcer stage. Visit Seattle Pride to see the full parade route.